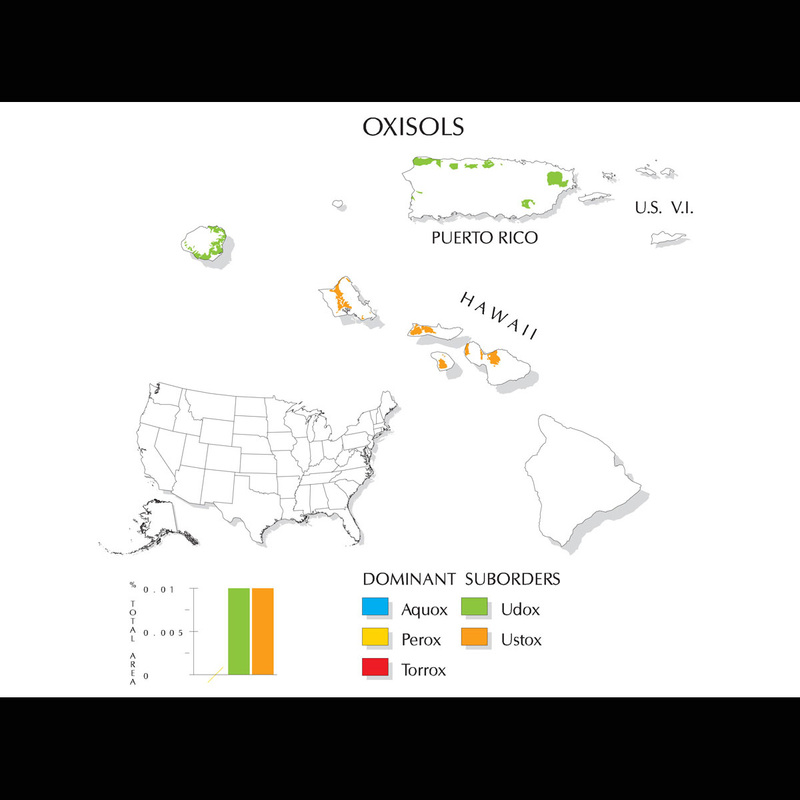 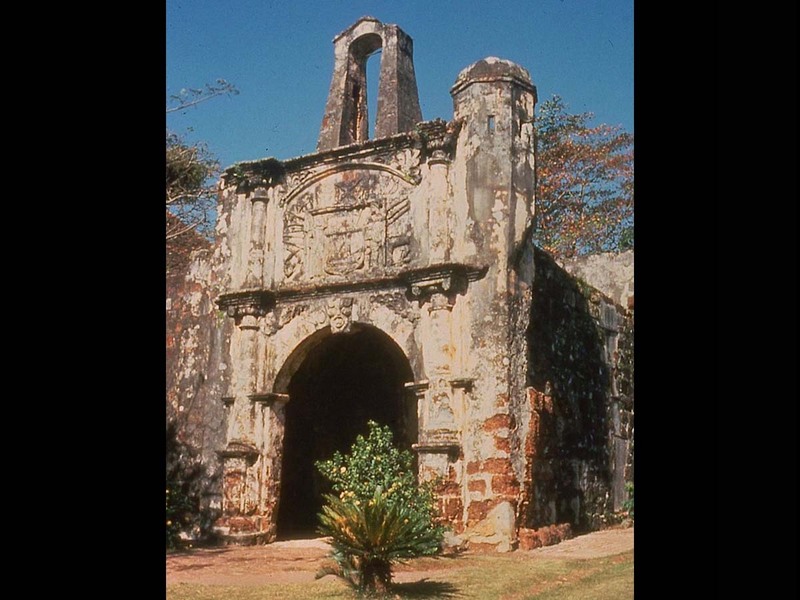 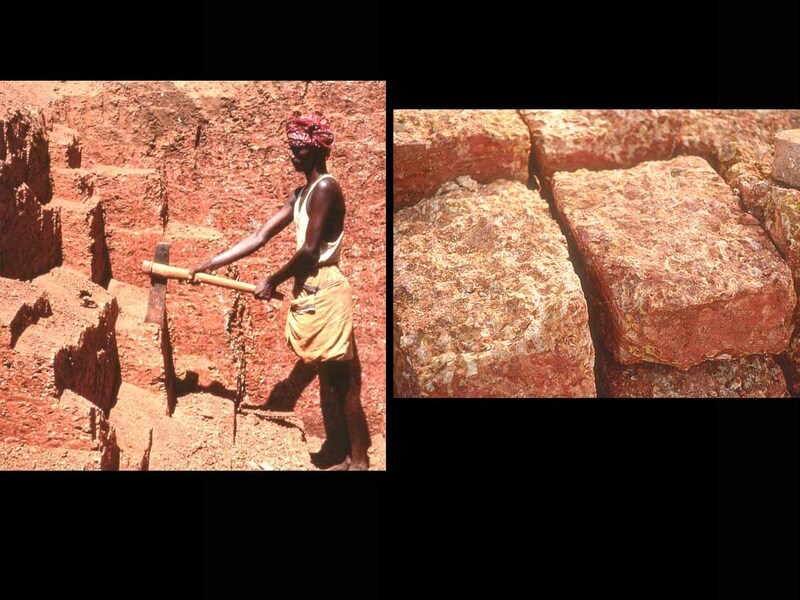 Oxisols (from French oxide, "oxide") are very highly weathered soils that are found primarily in the intertropical regions of the world. 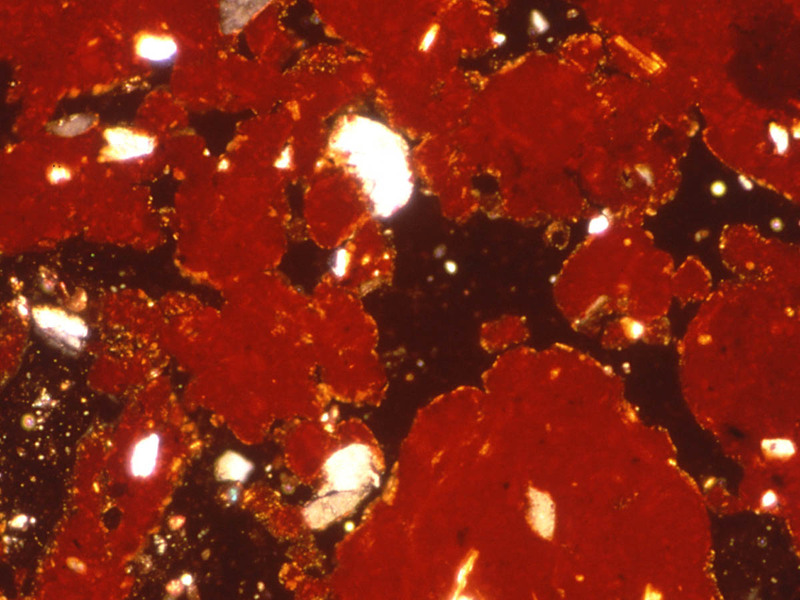 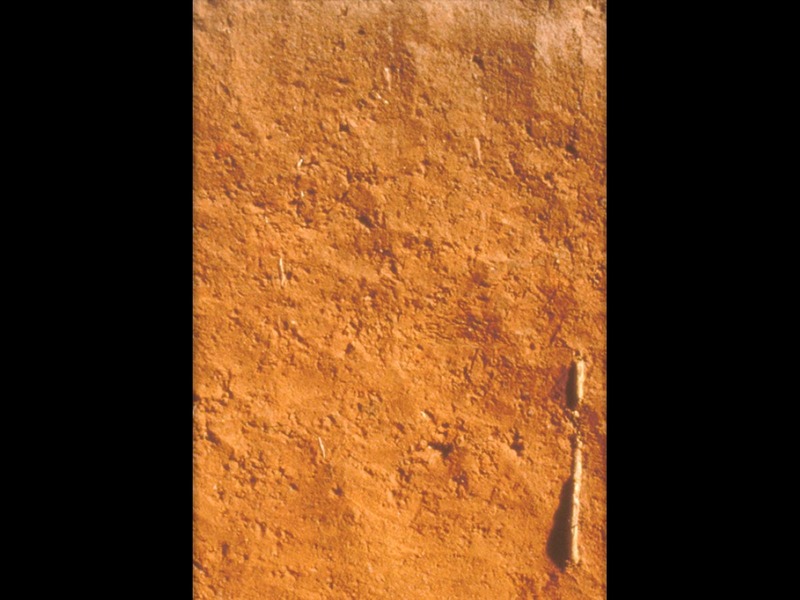 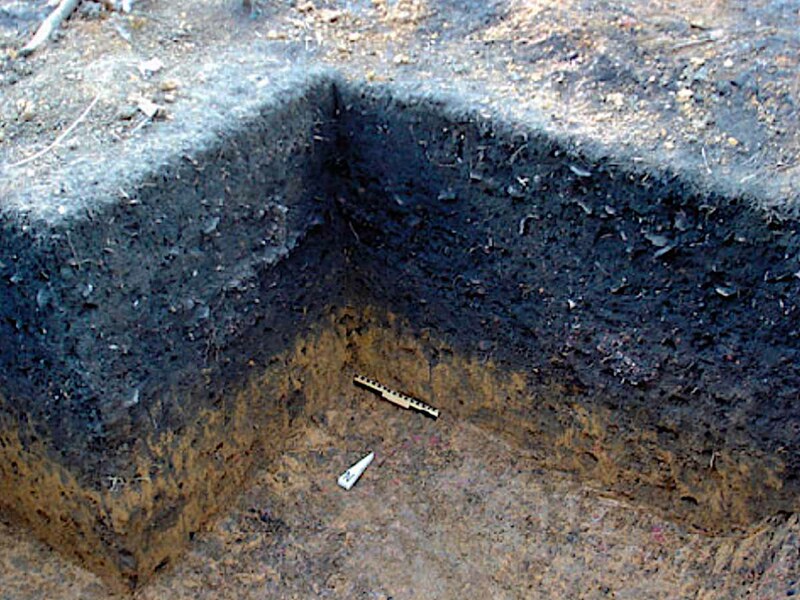 These soils contain few weatherable minerals and are often rich in Fe and Al oxide minerals. 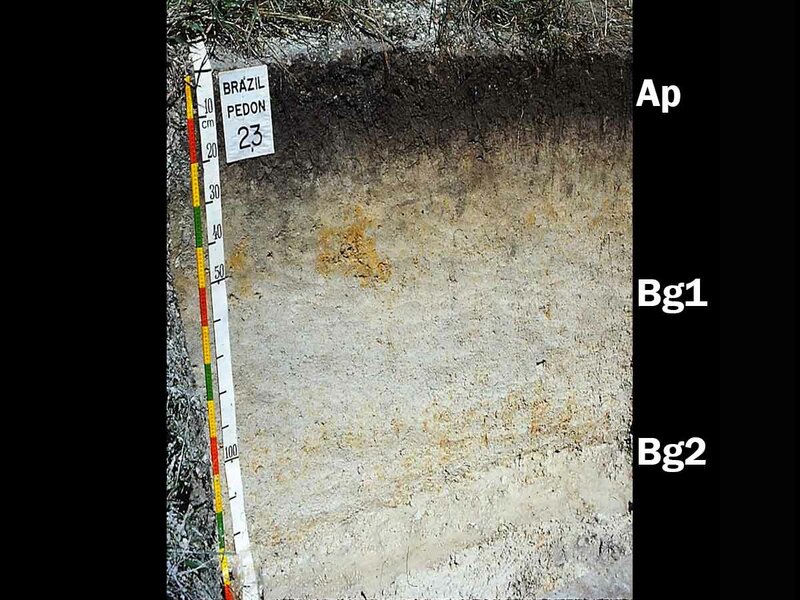 Most of these soils are characterized by extremely low native fertility, resulting from very low nutrient reserves, high phosphorus retention by oxide minerals and low cation exchange capacity (CEC). 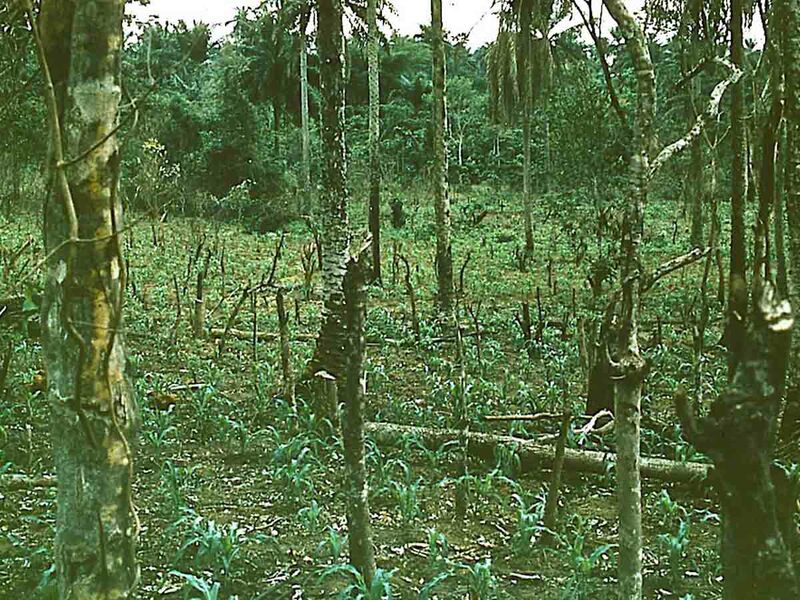 Most nutrients in Oxisol ecosystems are contained in the standing vegetation and decomposing plant material. 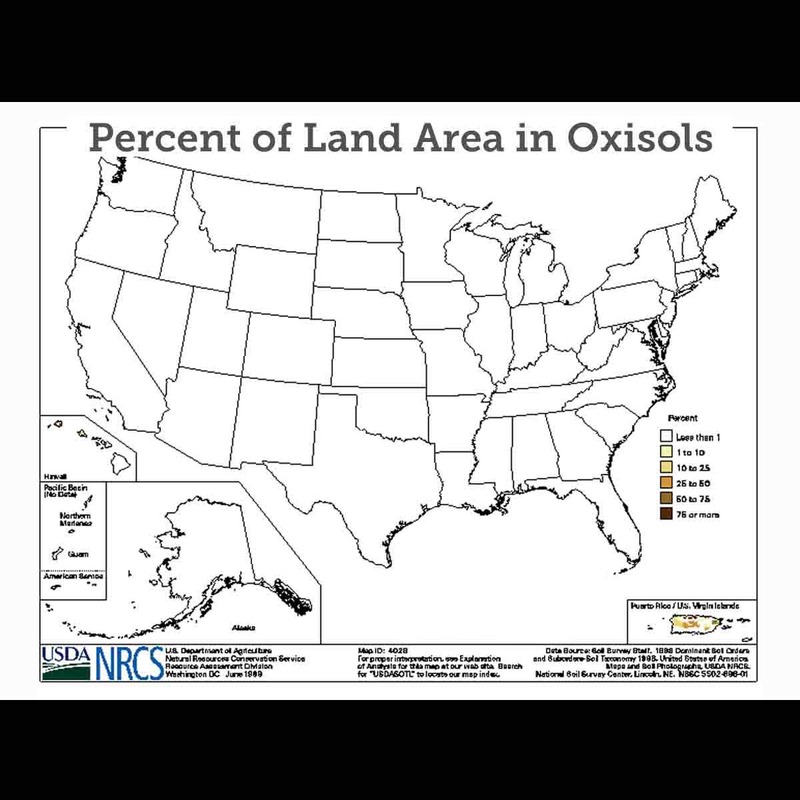 Despite low fertility, Oxisols can be quite productive with inputs of lime and fertilizers. 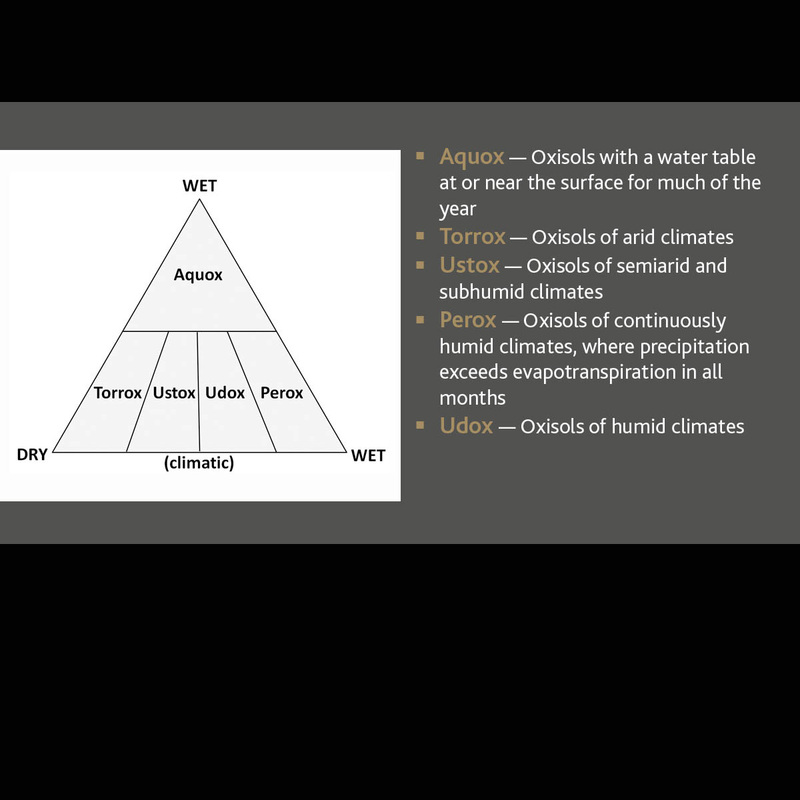 They Oxisols are divided into five suborders: Aquox, Torrox, Ustox, Perox and Udox. 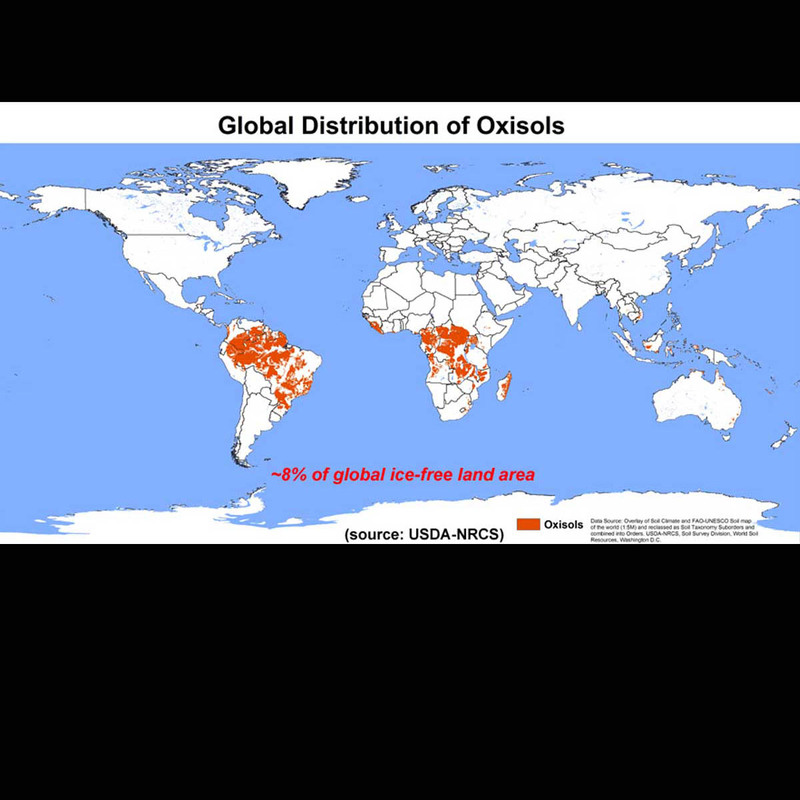 Oxisols occupy approximately 7.5 percent of the global ice-free land area. 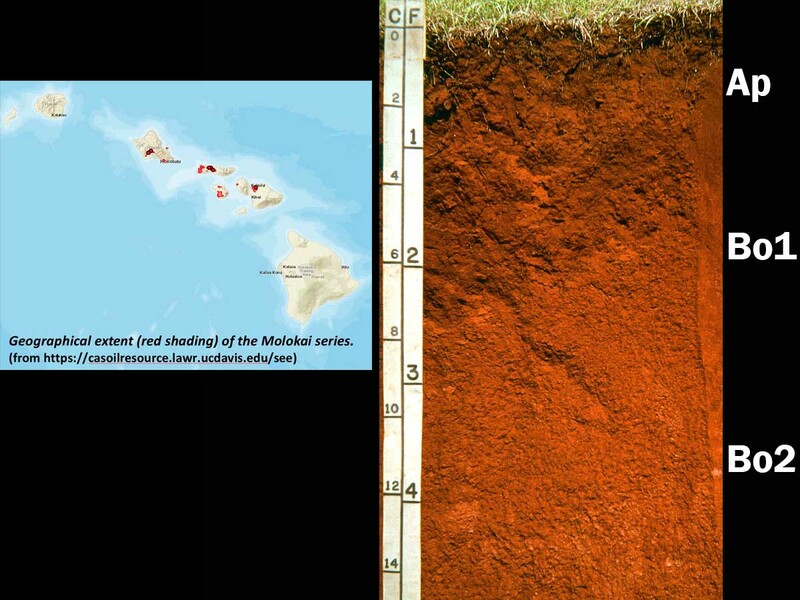 In the U.S., they only occupy approximately .02 percent of the land area and are restricted to Hawaii. 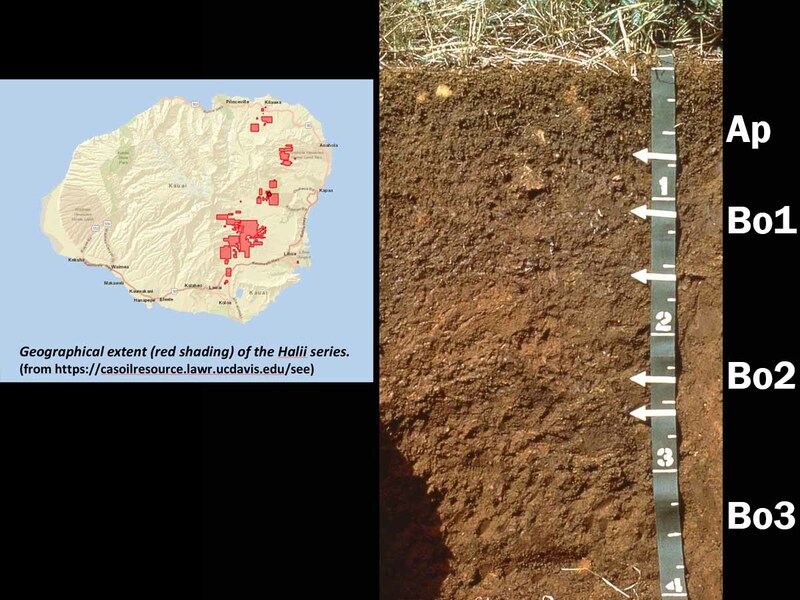 Torrox Landscape, Hawaii — Soils of these old, stable landscapes currently receive approximately 635 mm (25 inches) of mean annual precipitation with a mean annual temperature of 73°F (23°C). 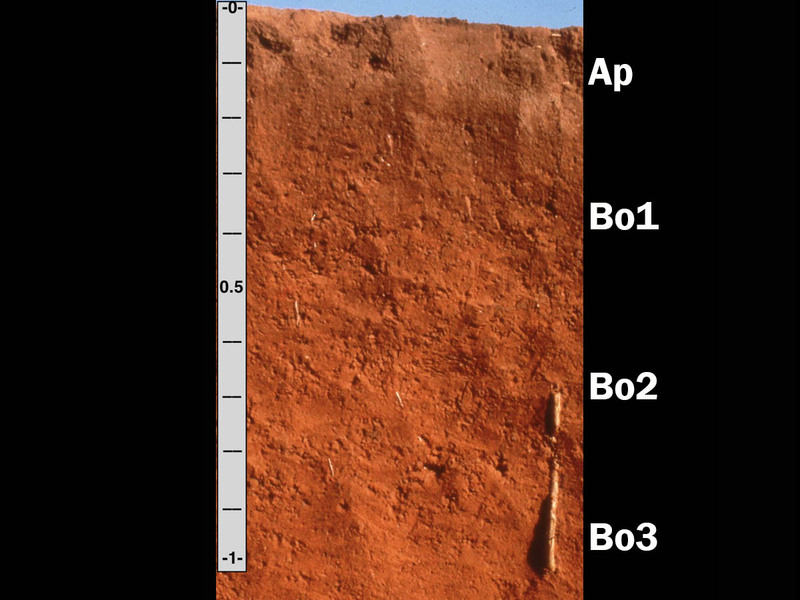 Even though the current soil moisture regime is aridic, much of the weathering associated with these soils likely took place under more humid conditions in the past. 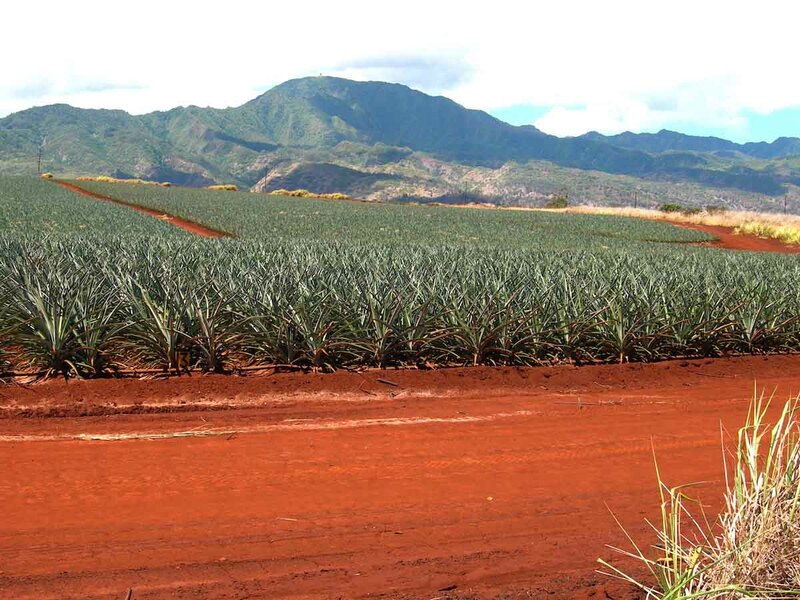 With irrigation and fertilizers, pineapple (pictured here), coffee and sugarcane can be grown. 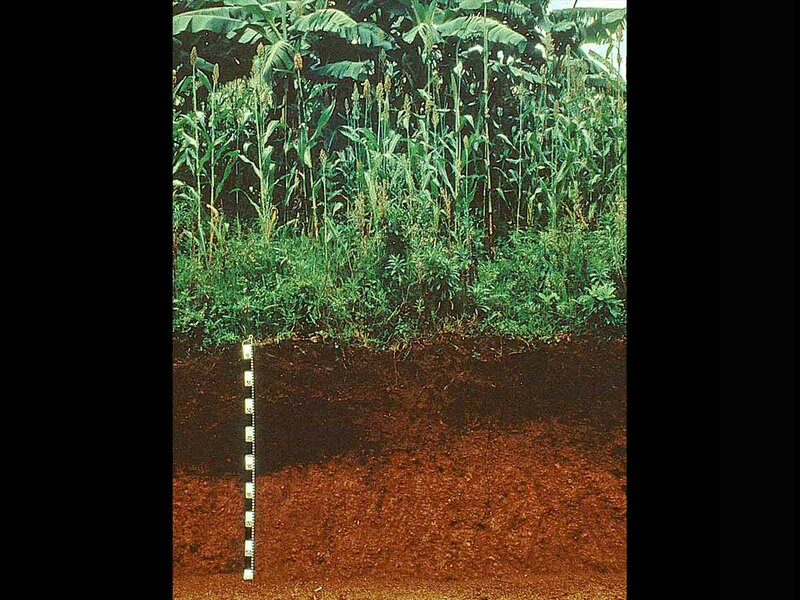 Perox Landscape, Hawaii — This Perox landscape near the Kauai Agricultural Research Station receives approximately 2540+ mm (100+ inches) of precipitation annually. 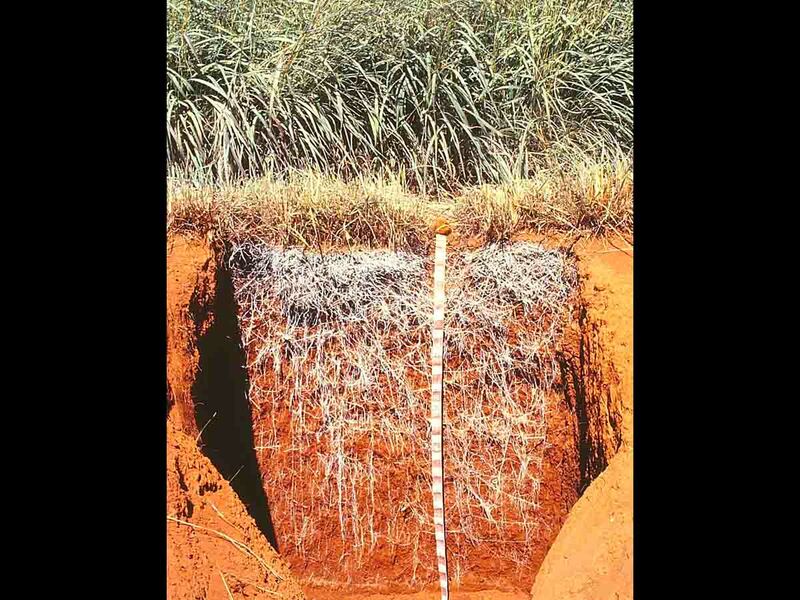 Rainfall is greater than evapotranspiration every month of the year. 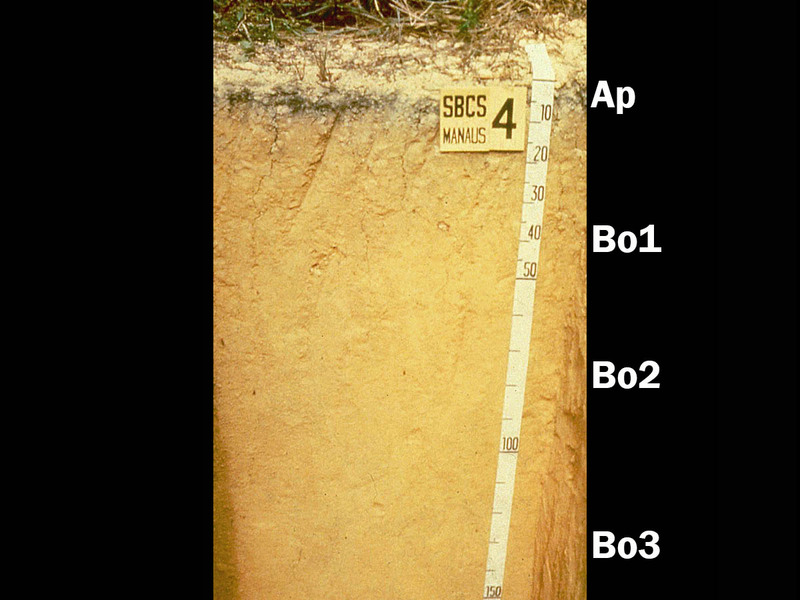 In Soil Taxonomy, this is designated as a perudic soil moisture regime. 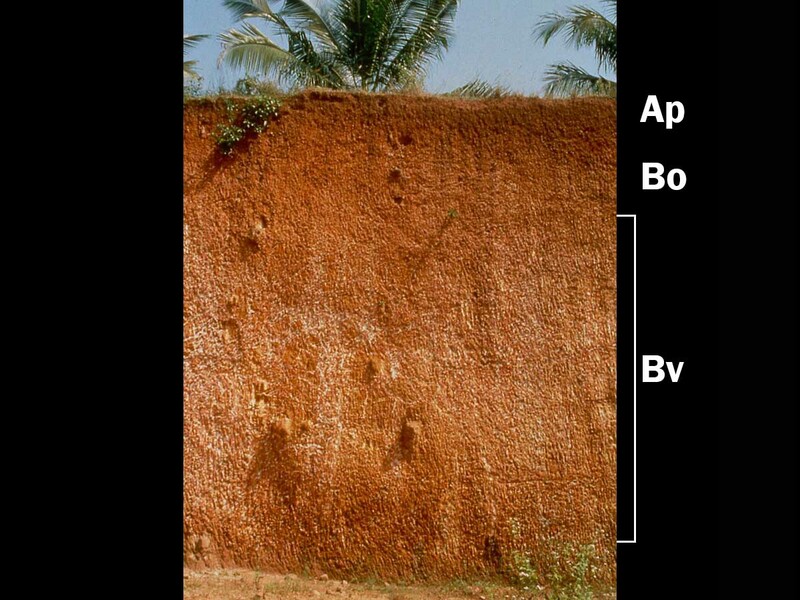 This condition severely limits use of these soils for agricultural production. 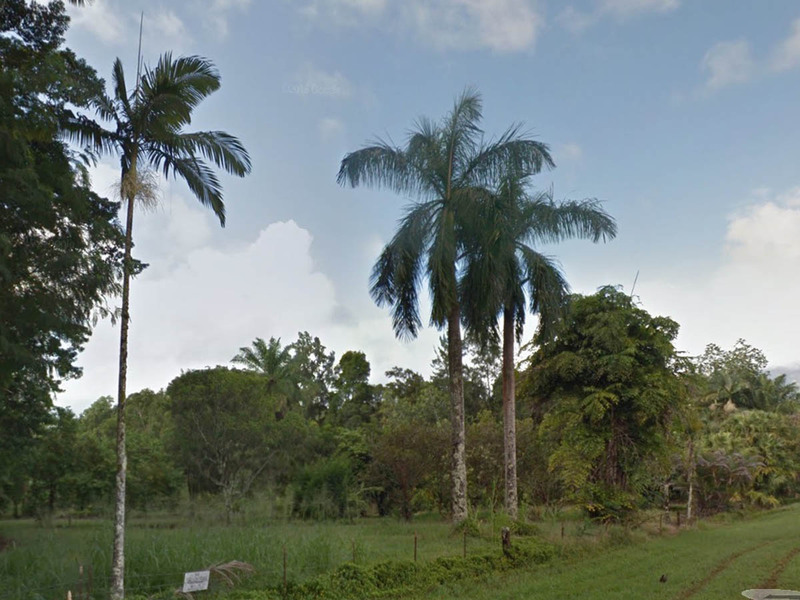 (Image from Google Maps).